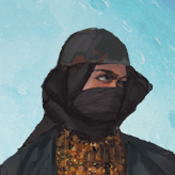 In April I’m running three rpgs using Middle Eastern influences in different ways: Coriolis (“Arabian Nights in Space”), Blades in the Dark set in Iruvia (a locale with a Persian feel), and 7th Sea’s The Crescent Empire. 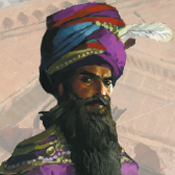 This last one’s the most complete consideration of Middle Eastern themes across multiple cultures. I like Coriolis, but it definitely uses the exotic as its pull. The Crescent Empire feels more respectful. 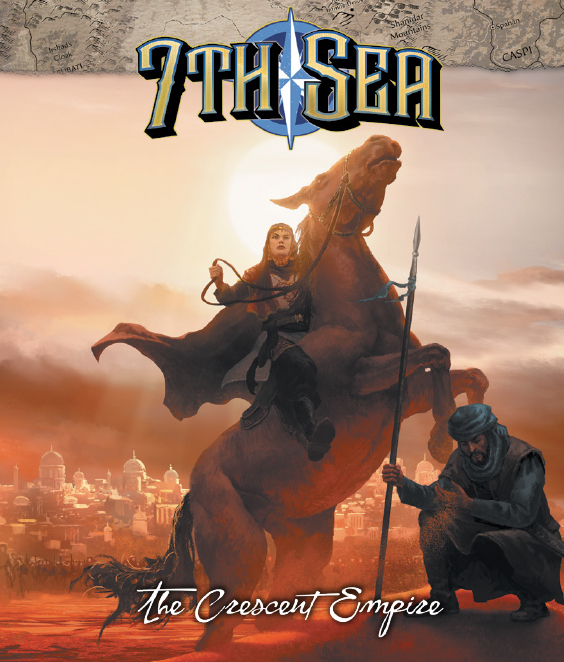 Like the rest of 7th Sea it remixes history and geography to create a more gameable setting. 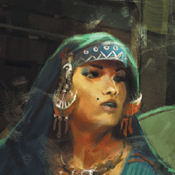 And unlike some other Middle Eastern/Arabian Nights rpg material I’ve read the setting and peoples have a voice. Anyway I’ve been working to refresh my knowledge of Middle Eastern culture. I focused on that in college, even living in Egypt for a year. But it has been decades since I examined that. 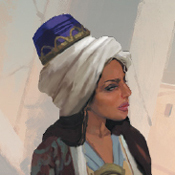 I’m working through Destiny Disrupted and City of Brass right now, as well as these rulebooks. One of the best ways to get a feel for a game & setting is to make characters. 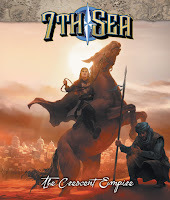 I’ve created six pre-gens for our 7th Sea TCE game. 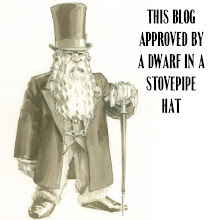 If you’re running 7th Sea you might find these useful. To give them a focus, I’ve even included proto-Stories for each to jump off from. Mechanics note: I chose to have each character's Virtue and Hubris come from the same Arcana. I like how in several cases these forces pull the PC in different directions. Earn a Hero Point when you involve yourself in a conflict solely for the glory it will bring. Earn a Hero Point when you resort to the edge of your blade to defend a noble ideal. Virtue: Altruistic: Activate your Virtue to suffer a Risk’s Consequences in place of another Hero. Hubris: Indecisive: You receive a Hero Point when your Hero takes an Action to pause in hesitation, doubt, or uncertainty before she makes a move. Duelist Academy: You may perform Duelist maneuvers (see other materials). You are trained in Mubarizdun which gives you the Style Bonus: Mubarizdun Shock When you wield a heavy weapon in two hands, you may perform a special Maneuver called Mubarizdun Shock. When you perform Mubarizdun Shock, deal one Wound. The next time any enemy (Villains, Brute Squads, etc.) 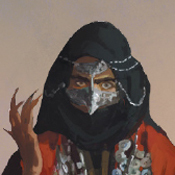 who saw you perform Mubarizdun Shock deals Wounds this Round, she deals one less Wound for each Rank you have in Intimidate. You may perform Mubarizdun Shock only once per Round. Heedless Assault: When you inflict Wounds to another character, spend a Hero Point. The Wounds you inflict cannot be reduced in any way. For the rest of the Round, you may not spend Raises to reduce Wounds that you or any other character takes. Remember My Name: Spend a Hero Point to activate this Advantage before you roll dice in a Risk against a character that you have encountered before. Remind him of what happened last time you met (if the interaction went in your favor) or tell him specifically how this time will be different (if it didn’t). You gain 5 Bonus Dice on all Risks against that character. This lasts until the end of the Scene. Skirmisher: When you engage in Mass Combat as a Solo, enemy units lose dice equal to your Ranks in Wits or Finesse (whichever is higher) on all rolls directed against you. Valiant Spirit: You begin each game with 2 Hero Points instead of 1. Goal: Convince [Former Lover] to Leave [Villain's] Service. Step 2 Impress and woo them. Step 3 Get them to repudiate [Villain] and come with you. Earn a Hero Point when you drop what you’re holding to fight with fists regardless of your opponent's weapon. Earn a Hero Point when you coerce, persuade, threaten, cajole or otherwise force a character to allow you to give her medical attention. Virtue: Humble: Activate your Virtue to gain 2 Hero points instead of 1 when you activate your Hubris or trigger a Quirk. Hubris: Arrogant: You receive a Hero Point when your Hero shows disdain, contempt, or otherwise looks down on a Villain or someone who could cause harm to friends. Boxer: You gain 1 Bonus Die when you make a Brawling Risk to punch, kick, headbutt or otherwise injure another character using nothing but your own body. Duelist Academy: You may perform Duelist maneuvers (see other materials). This style is modified from an Avalonian style to give us a Barehanded one. The Fish’s Leap: When able to move freely—your armor is not constrictive and you have vertical clearance—you may perform a special maneuver called the Fish’s Leap. The Leap is a sudden high jump that allows you to leap over or around your target’s guard, regardless of your weapon. This maneuver deals Wounds equal to your Ranks in Athletics, and these Wounds cannot be prevented in any way. You may perform the Leap once per Round. Extended Family: Spend a Hero Point to reveal you have a distant cousin who lives nearby and can help you with materials, information, or shelter. Indomitable Will: After another character attempts to intimidate, seduce, or otherwise goad you, spend a Hero Point to automatically resist. Staredown: Spend a Hero Point to intimidate a character into backing down from a threat, letting you into somewhere he shouldn’t, or otherwise getting out of your way. Triage: Spend a Hero Point to identify a poison or disease, determine a character’s injuries (and how to best treat them) or save someone from an immediate medical threat (such as someone choking, has a collapsed lung, etc.). Step 2 Find out who they gave [Ancient text] to. Step 3 Locate and steal the text. Step 4 Find a translator for the text. Earn a Hero Point when you tell someone in authority exactly what you think of him, even when you really shouldn’t. Earn a Hero Point when your hunger for rare trinkets, lost artifacts or a similar treasure gets you into trouble. Virtue: Wily: Activate your Virtue to escape danger from the current Scene. You cannot rescue anyone but yourself. Hubris: Curious: You receive a Hero Point when you investigate something unusual, especially if it looks dangerous. Deadeye: You gain 1 Bonus Die when you make an Aim Risk using a pistol, blunderbuss, or a thrown weapon such as a knife or axe. Delay the Inevitable: Spend a Hero Point during an Action or Dramatic Sequence and select any Consequence with a Time Limit. You delay that Time Limit by as many Raises as you spend. However, that Consequence can no longer be overcome or reduced by anyone spending Raises. Got It! : Spend a Hero Point to immediately pick a lock, crack a safe, or disarm a trap. 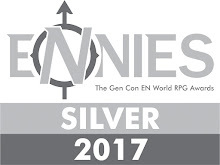 Nerves of Steel: Whenever you spend a Hero Point to give yourself Bonus Dice in a Risk against a creature or character with a Monster Quality, you gain 1 Re-Roll in addition to the normal effects of your Hero Point. Perfect Balance: Spend a Hero Point to move across a thin beam, jump from one place to another, or otherwise perform a feat of perfect agility and balance. Slip Free: Spend a Hero Point to slip your hands free from manacles, loosen the rope tying you to a chair, or similarly free yourself. Team Player: When you spend a Raise to create an Opportunity, you can spend a second Raise. If you do, you activate the Opportunity on behalf of another willing Hero— she doesn’t need to spend her own Raise. Step 1 Locate [The Villain's] secret lair. Step 2 Steal [The Item]. Step 3 Return it to [Rightful Owner]. Earn a Hero Point when you convince another character to commit to a course of action by appealing to his bloodline, family honor, national pride or a similar aspect of his personal history. Virtue: Passionate: Activate your Virtue when another Hero takes Wounds to prevent her from suffering those Wounds. You take one Dramatic Wound instead. Hubris: Star-Crossed: You receive a Hero Point when your Hero becomes enamored with someone she really shouldn’t. 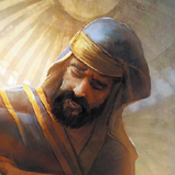 Amab Almaada: Spend a Hero Point when you have fewer Raises than your opponent during the first Bayt of a poetry duel. You can reassign the Skills that you have chosen between your three Bayts. An Honest Misunderstanding: Spend a Hero Point to edit, redact, or otherwise alter something you or another Hero just said, “reinterpreting” the words into the kindest compliment. Direction Sense: As long as you have some point of reference, you are never lost. That isn’t the same as knowing exactly where you are—if you’re knocked unconscious and wake up in a dungeon, you don’t necessarily have any idea what city you are in, but if you manage to escape your cell you will never get turned around in the winding tunnels that make up the dungeon. Friend at Court: When you are at a ball, feast, or similar high society function, spend a Hero Point to reveal you have a close friend also in attendance. Insistent: When you apply Pressure to another character, spend a Hero Point. The effect of your Pressure lasts until the end of the Round. Multi-Tasker: When you spend a Raise on your Action to activate an Opportunity, you may spend a Hero Point to reduce a Consequence as if you had spent a single Raise to do so. The Old Traditions: You know the old rites of hospitality and can request them from another when you need food, water, shelter, medical aid or something similar. The other character offers you this aid so long as she does not believe it places her in danger, and so long as you make assurances to do the same for others. This Advantage has no effect against a Villain or his direct underlings, or characters who have some reason to already dislike or distrust you. Rhyme & Verse: You are a Kavi, a poetry duelist (see other materials). You are practiced in Hakawati. The Hakawati Style focuses on familial and tribal history, weaving tales from subplots and darting to and fro. Referencing one drama to the next, interweaving words like crafting a fine basket, a Hakawati poet takes oral history and puts it to rhyme and meter. Style Bonus: A Hakawati practitioner gains 1 Bonus Die during the second Bayt. Step 1 Track down [Agent] of [The Villain]. Step 2 Set them up. Step 3 Incriminate and get [Agent] arrested. Earn a Hero Point when you set your eyes upon a sight few, if any, have ever seen before. Earn a Hero Point when you make a personal sacrifice to ensure the freedom of another. Virtue: Humble: Activate your Virtue after you roll dice for a Risk. You lose half of your Raises. All other Heroes in the Scene with you gain as many Raises as you lost. Hubris: Timid: Receive a Hero Point when you avoid the spotlight, insist that you're nothing more than a simple man or refuse to take credit for something that would be advantageous for you to claim as your own work. Quick Reflexes (Weaponry): Choose one Skill. You always take actions as if you had an additional Raise to spend when you use that Skill. For example, if a Hero has Quick Reflexes with Weaponry and rolls 3 Raises with that Skill, she takes her first Action on 4 Raises. If she spends 1 Raise to take an action (and so has 2 Raises remaining) her next Action occurs on 3 Raises. A Hero can buy this Advantage multiple times. Each time they do, they choose a different Skill. Second Story Work: You can spend a Hero Point to locate a way into a building or restricted area. You can bring up to one other character along with you, but everyone else has to find their own way in—or wait for you to open a path for them. Sniper: You gain 1 Bonus Die when you make an Aim Risk using a long-barrelled musket, longbow, or crossbow. Step Where I Step: Spend a Hero Point when you spend a Raise to take an Action involving movement, navigating a dangerous environment, avoiding a trap, leaping a chasm or some similar threat. Another Hero of your choice comes with you, avoiding any threats as if she had spent a Raise. Goal: Rescue Former Captain [name] from [The Villain]. Step 1 Track down a known agent, [Name]. Step 2 Get the information on location from the agent. Earn a Hero Point when your commitment to saving someone else from witnessing the horror and pain of death causes you trouble. Earn a Hero Point when you go out of your way to save another character from isolation. Virtue: Tenacious: Activate your Virtue when you would be killed. Through some twist of fate or circumstance you survive, but are immediately and forcibly removed from the Scene. Hubris: Doomed: Activate your Hubris when you take 1 or more Dramatic Wounds. You gain a Hero Point for each Dramatic Wound you just endured. Brains of the Outfit: When you spend a Hero Point to give Bonus Dice to another Hero during a Risk, you may spend a second Hero Point. If you do so, you grant that Hero additional Bonus Dice equal to your Ranks in Scholarship if you describe how your knowledge of academic pursuits will aid in her Risk. Cast Iron Stomach: Spoiled or raw food never negatively affects you, and you still gain required sustenance from it. Cover Name: Spend a Hero Point to employ a cover identity until the end of the Scene. Choose any non-National Background for your cover identity. While operating as your cover name, once per Round during a Dramatic Sequence, you can change your Approach to any Skill from your cover identity’s Background. A Hero can only have one cover identity at a time; if you purchase this Advantage again, you invent a new cover name and lose your old one. Disarming Smile: Spend a Hero Point to keep another character from drawing a weapon, starting a fight, or resorting to violence. She will still defend herself, but she will not start any violent conflicts. Handy: Spend a Hero Point to repair a broken item, rig a damaged gun, patch a leaky ship, or perform similar miracles, causing the object to function normally for the rest of the Scene. At the end of the Scene—or if the object suffers any additional damage—the object becomes unusable until you have time to perform serious repairs with the proper tools. Reckless Takedown: Spend a Hero Point to immediately defeat a single Brute Squad, regardless of its Strength. You immediately take 1 Dramatic Wound. Sorcery (Nawaru): Guardian’s Peace: Activate this turru to give another person a sense of calm, simply by touching him (minor). Guardian’s Dart: Point at a target at range and this turru sends a fine, concentrated beam of light to destroy it. If aimed at a character, he takes Wounds equal to your Finesse; if aimed at a handheld or particularly fragile object, it is immediately destroyed. A larger object (such as wagon, statue or building) is partially destroyed and unusable or unsafe. Goal: Track Down the Traitor. Step 1 Find [Agent] of [The Villain]. Step 2 Kill them quietly. What do you think? Comments or suggestions?